Contact Us | Why Do Cats Spray? 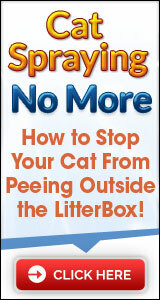 Please use the contact form below for all questions and inquiries regarding WhyDoCatsSpray.com. Support staff is available from 8am – 10pm EST Monday to Saturday. Our client service team strives to respond to all inquiries within 24 hours.